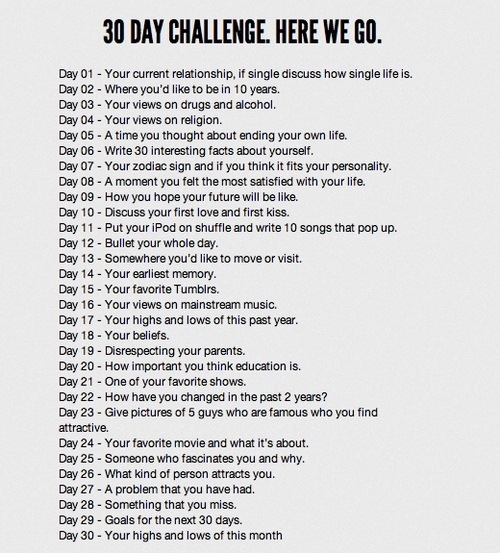 Yesterday, I wrote on my first love….the guy that made me realise that I had a heart…lol…Anyway, today’s challenge is something that I have done before in my other blog but for the sake of not missing out on any day in this challenge, I’ll do it again. I’m supposed to put my iPod on shuffle and write on 10 songs that pop up. I don’t have an iPod so ill use my blackberry instead. Enjoy! 1. Fall Again – Glenn Lewis: I heard this song for the first time in the movie ‘Maid in Manhattan’ which is one of my favourite movies of all time. I am so in love with this song. It’s soul music and so it touches me a lot. He is saying that he doesn’t want to stop loving his girl…he wants to revive the love once more like the first time they met… It’s a beautiful song and the instrumental arrangement is wonderful. 2. Love you more – Jls: I am in love with this boy band. To me, they can do no wrong. They give me hope that there is love. This song is one of those songs that you listen to when you feel like crying. Like now, this song makes me wish that guy can fall for me like this. Like, just seeing me and just falling for me. Lol..Well it’s the way the song makes me feel. I love it!. 4. Superwoman – Alicia Keys: If anyone else had sang this particular song, I probably wouldn’t have given it much attention but it’s ALICIA KEYS!!!! She is beautiful and inspirational. The song goes to show that women do a lot for the society. We do more than we are given credit for. It’s just to inspire women to be happy as women and know that we are doing lots and lots! 5. Count on me – Bruno Mars: This song is a good song. When I first heard it, I thought it was just ‘good’ and Bruno Mars isn’t just good. I am in love with Bruno Mars..I don’t think that’s a secret…Anyway back to the song….haven’t been a big fan of it but what gave it meaning for me was when he performed it on the Ellen Degeneres show in honour of the victims of the Sandy Hook incident. It gave it a lot of value and I appreciate it a lot now. 6. Angels – Robbie Williams: A beautiful song to come out of one of the greatest singers to come out of Great Britain. I like Robbie Williams a lot. I think he is just a fun, lovely man. This song is just special. I think everyone that knows this song appreciates it. 7. Bust your windows – Jasmine Sullivan: I just like this song. It’s for all the heartbreakers. ‘You can’t just play with people’s feelings..tell them you love them and don’t mean it’ I agree with her completely with her on that. Pls don’t lie to people about your feelings for them…Don’t toy with other people’s feelings. It hurts. Anyway, I appreciate the song a lot sha. 8. Climb every mountain – Christiana Aguilera: Okay this song is originally from the soundtrack of ‘The Sound of Music’. That movie never gets old. I love this song and I didn’t find the real version and this one with Christina Aguilera is too good. I don’t know, is she a human being? How can a human sing so powerfully? And her talking voice is so sweet..you won’t expect that kind of voice from her. It’s too good. So beautiful people, this is me. This is a glimpse of my sort of music.